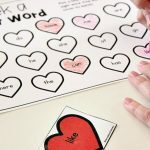 FREE Printable Valentine's Day Rhyming Activity - 4 Ways to Play! 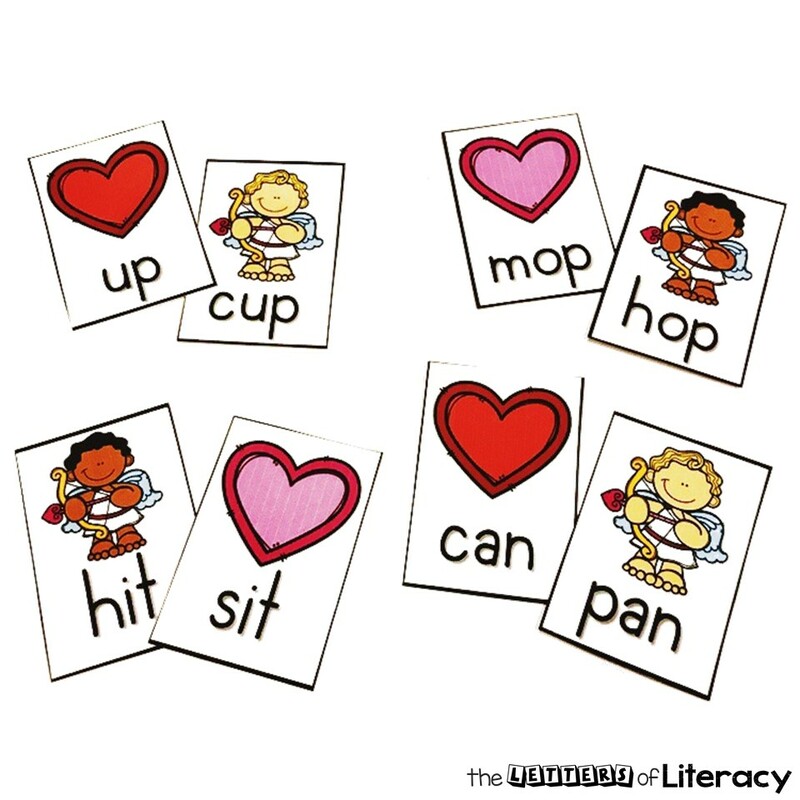 Love is in the air, and so is this Valentine’s Day Rhyming Activity! One thing I love is a fun, versatile activity and that’s exactly what I have for you today! 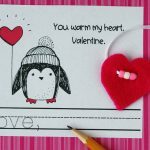 *Pair this with our February Kindergarten Printable Activity Bundle! 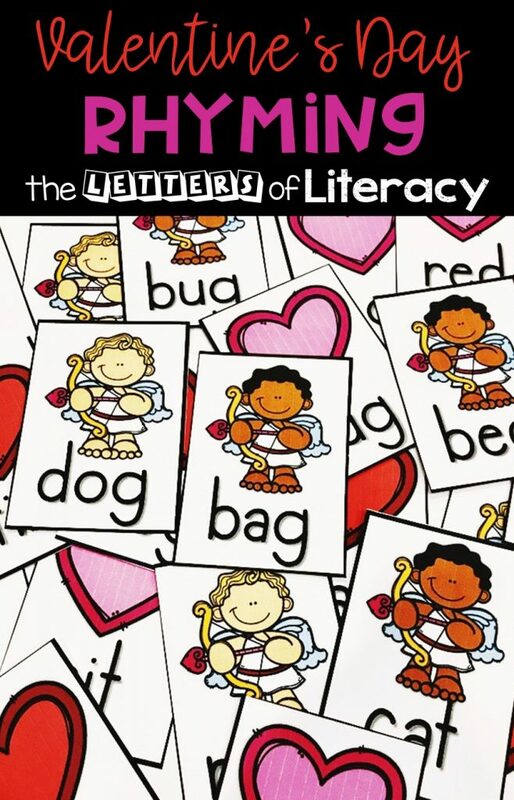 This rhyming activity is useful for a wide range of kiddos. 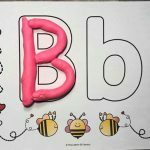 I’m excited to start practicing rhyming sounds with my 3 year old daughter during our homeschool preschool time! But rhyming was also a skill I practiced with my kiddos in my first grade classroom! This activity is easy as can be to prepare! 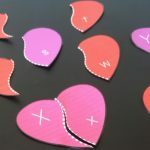 If you’re planning to save this activity for years to come, print your rhyming cards and laminate them for durability before you cut them. In a hurry? No worries! 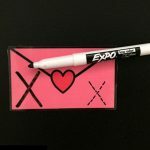 This can also be a perfect print-and-go activity! Play a game of “Go Fish!” by giving each of your kiddos 5 cards and having the request rhyming words from their peers. 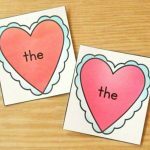 Tape the cards around the room and allow your students to go on a scavenger hunt for rhyming pairs! 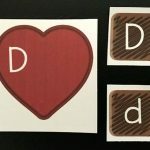 Face all of the cards down on your work area and give students turns to choose 2 cards, hoping to rhyme matches. For younger or struggling students, leave all of the cards face up and allow plenty of time to search for rhyming pairs. 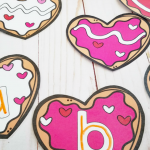 With so many ways to use these Cupid cuties, these rhyming cards are sure to keep your kiddos engaged and learning for all of February! 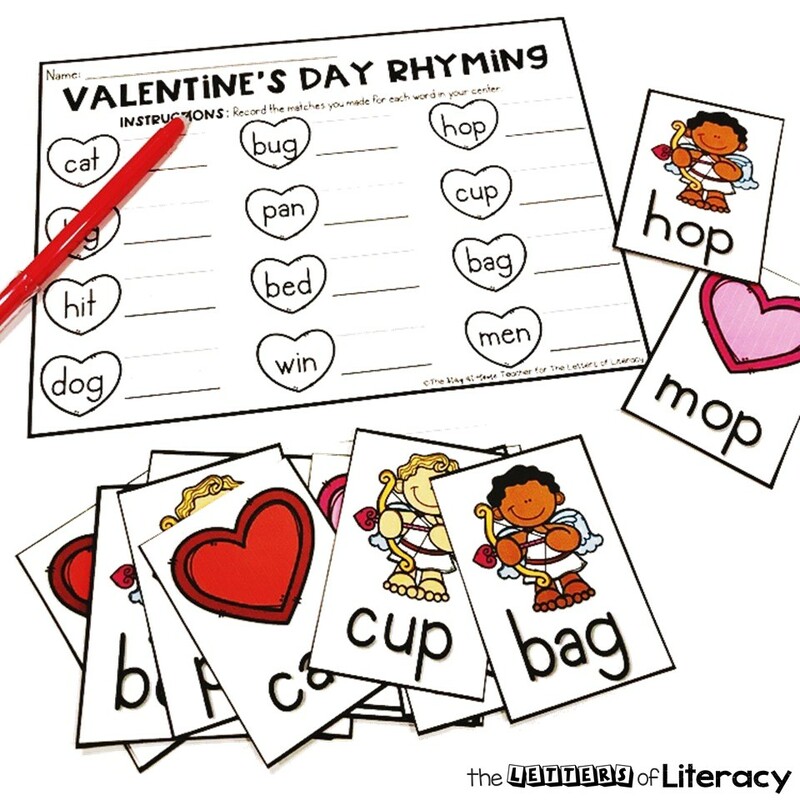 If you’re ready to grab these Valentine’s Day Rhyming Cards and Recording Sheet, then click on the large, blue button below! 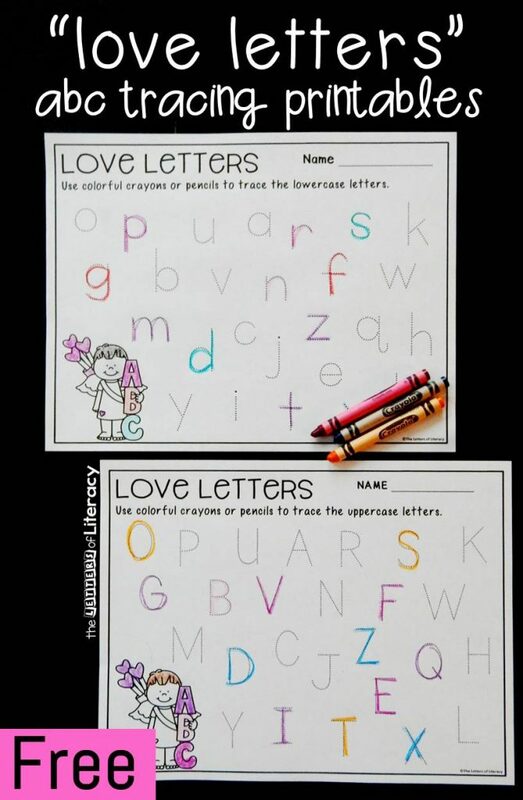 Then, hop on over to see our Valentine’s Love Letter Tracing Alphabet Activity! Kaitlyn is a former 1st grade teacher turned stay-at-home mom to a spunky little 2-year old girl. She brings her love of the classroom and all things educational “home” to her little one in their RV where they live full-time. Kaitlyn loves to share how she makes totschool simple and meaningful in her small space over at The Stay at Home Teacher.